Snowflake Computing announced Tuesday that its cloud-based data warehouse service is available to all users. Called the Snowflake Elastic Data Warehouse, the service allows companies to pool all their data and workloads in a single warehouse that can be accessed by all their users. The warehouse is designed to handle administrative tasks for many of its users, like automatically scaling to match a company's demands and handling hardware provisioning by itself so that administrators don't need to spend as much time managing it. In addition, Snowflake's service is capable of taking in both structured and semi-structured data, without requiring users to ensure that it's all in one format before uploading to the warehouse. The data warehouse will also automatically optimize itself based on data usage. So far, the company has picked up several high-profile customers for its service, including Adobe, Condé Nast and International Gaming Technology's DoubleDown Interactive division. 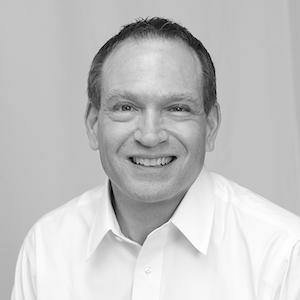 The cloud computing company is led by Bob Muglia, a Microsoft veteran who joined Snowflake as its CEO in June 2014. He spent 23 years in various server-related roles at Microsoft, including a four-year stint as the head of its Server & Tools Business division. Snowflake is competing in a crowded market, with both Amazon and Microsoft offering competing products through their respective cloud platforms. However, IDC analyst Al Hilwa said in an email that the company is well served by having Muglia at the helm, thanks to his background at Microsoft. The data warehouse market is poised for innovation in the era of cloud computing, Hilwa said. "The data warehouse was invented a couple of decades ago, so it is due for a sequel, especially in a cloud context," Hilwa said. The general availability news comes alongside a Series C funding round worth US$45 million. The funds came from several venture capital firms, some of which had invested in Snowflake previously. To date, the company has raised $71 million.